I had a BLAST making this card for a Way to Use it Challenge on SCS. We were to make a card decorated with black pen. I started by stamping flowers from Lawn Pawn’s Petite Florals in Jet Black Archival ink on a Label 1 Nestabilities die cut out of Whisper White cardstock. Next I started doodling with a black sharpie until the entire piece was covered. The background was layered on a 3 7/8″ basic black cardstock square. Three of the corners were corner rounded. The card base is a 4 1/4″ x 8 1/2″ piece of Core’dinations cardstock. The sentiment is from Unity’s Rockin’ it Unity Style. It was stamped in Jet Black Archival Ink on Whisper White cardstock. I cut the left hand side banner style and added a Basic Gray ribbon to the left side of it. I finished off the card by adding Silver Kaisercraft Rhinestones in the center of the flowers and Startdust stickles over some places. 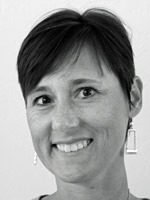 How awesome, Beate! Love all that doodling!! This is so striking! Love your zentangle! Wasn’t this a fun challenge? This card is so amazing! What a cool challenge! Amazing doodling – mine is always too angular! I love doodling or zentangles, it’s every time unique and original and your card too. This zentangle look is really something! I’ll have to get a clip board so I can start turning TV time into the doodle hour! I like how clean and graphic the sentiment text is against the busy doodles, and that punch of blue is really nice! Fun card! 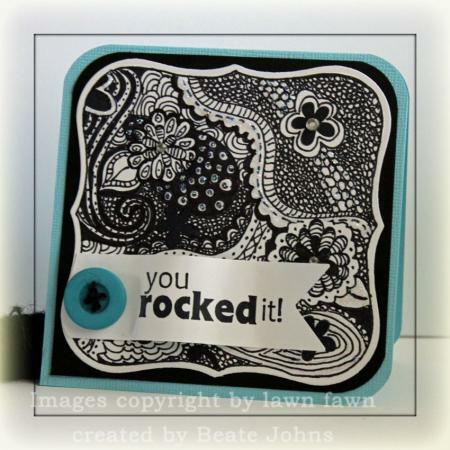 YOU totally rocked this my friend! This is FLIPPIN’ FAB! I love the graphic of the card! The color combination is beautiful! Black and white always look good together! Oh my gosh Beate! What a fun & funky card! You always amaze me with all the techniques you share! No you rocked it! LOL I really love the black swirls and hints of blooming flowers. Black and turquoise really works! Beate, this is fantastic! I’m gonna have to try this for sure. Once again you have amazed me with your technique! Yup, yup! 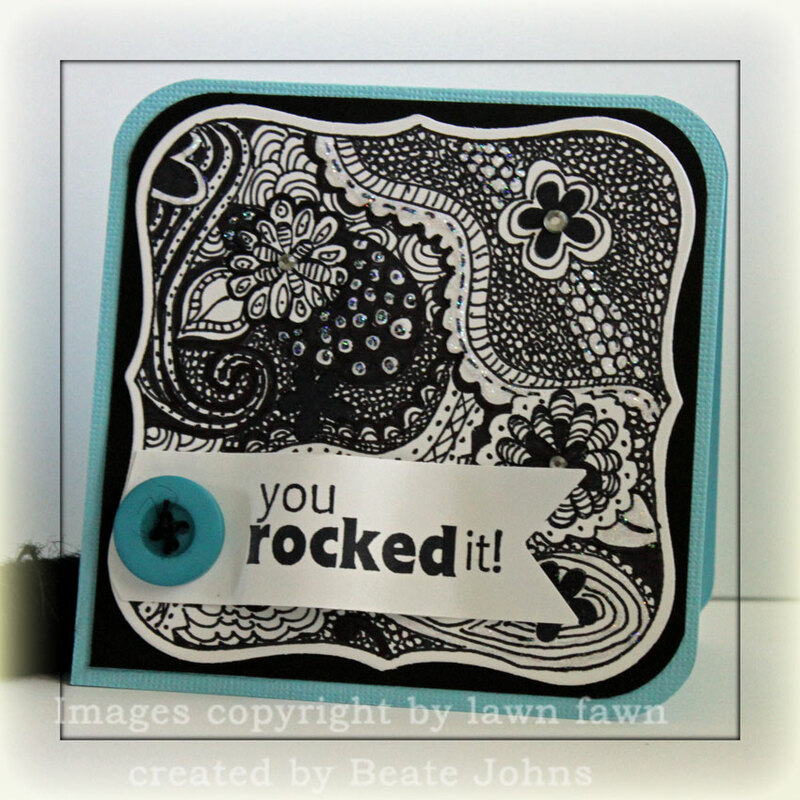 You certainly rocked this one! You are the doodle queen! Awesome card! My husband does alot of this kind of drawing with ink pens, I will have to have him check this out and tell him he can use my stamps to enhance his drawing! So cool!